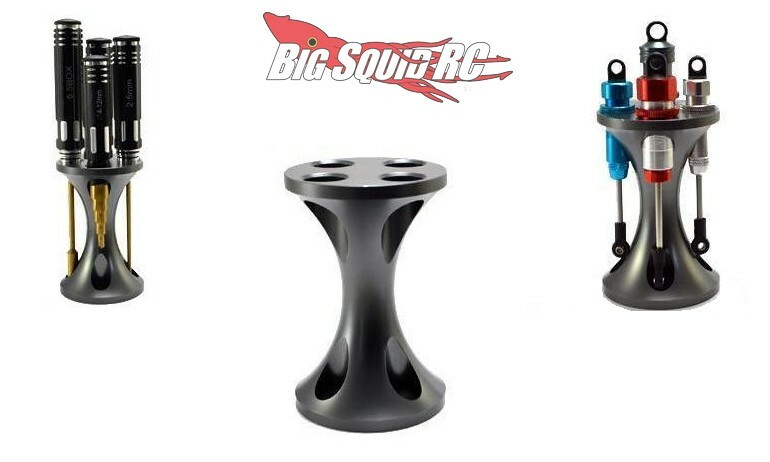 TheToyz Aluminum Tool Holder « Big Squid RC – RC Car and Truck News, Reviews, Videos, and More! Street pricing for the stand is just $9, thus making it affordable to order multiples for your work bench, or as a gift for your favorite bashing buddy. Want more details? Find the full scoop over on the official TheToyz website. Read more TheToyz News right here on BigSquidRC.